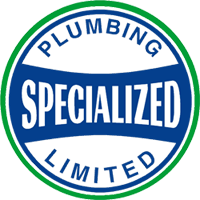 With 15 years of plumbing experience, SPECIALIZED PLUMBING offers reliable prompt service and quality workmanship. Even for those unplanned emergencies, we will have you covered with 24 Hour Emergency service. Please call us today to book an appointment. All surrounding areas from Kingston to Oshawa. SPECIALIZED PLUMBING works with only the best brands!